If you are starting a new business or you want to grow your existing one, listen to this amazing interview. 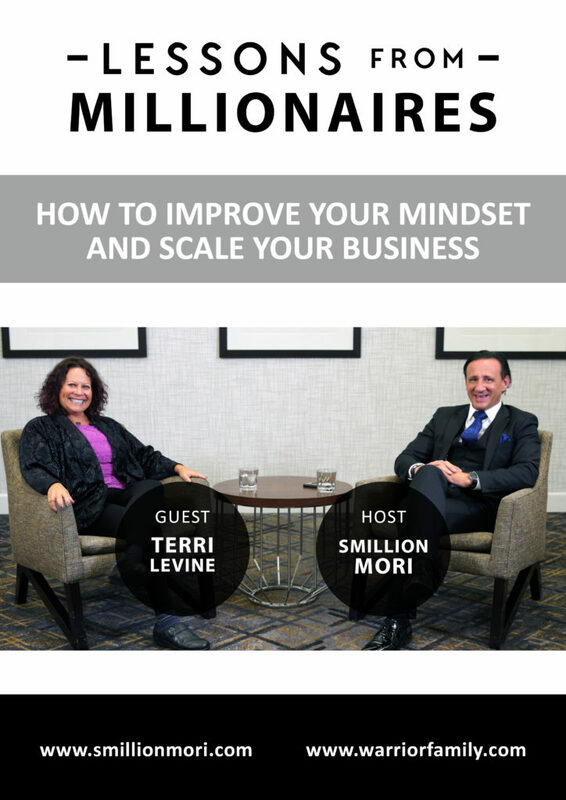 Terri is an expert for growing your business by improving your mindset. She will teach you how to gain confidence and get high paying clients. She is the founder of Heart-repreneur and is a business and executive coaching expert. She assists businesses worldwide with business growth, sales, and marketing. She has more than 40 years of business experience, encompassing work with more than 5,000 business owners and entrepreneurs in a variety of industries. She is also a bestselling author of dozens of books, has her own radio and TV show and is also a keynote speaker. Terri has a passion for helping businesses to grow with her own personal experience gained while building multiple successful businesses from the ground up. Terri has created the Heart-repreneur cause teaching business owners to do business heart-to-heart. Hello everybody, this is Warrior Family and I’m Smillion Mori. I’m sure we are all here because we are 100 percent that we can all create and live the life worth living, but in order to do this, we have to do something about it. And my goal within this show is to introduce to my friends, guests, that can save you much time, money, give you their strategies, their mindset, their habits and systems, that can become the person you want to become, build a business that you want to build, and create the life worth living. And today I have a special guest. Her name is Terri Levine. She is the chief Heart-repreneur and mentoring expert at Heartrepreneur company. Frustrated with what she saw in business, treating prospects, customers, and employees, and vendors, Terri decided to shift the business mindset and created a community of authentic business people who are disrupting how professionals communicate, sell, and market their companies. She wrote more than 12 books, and counting. She was quoted in over 1,500 publications. That’s amazing!